The archive provides most of the data on which the distribution maps, figures and tables in The Birds of Berkshire are based. It also provides supplementary information and analyses based on the atlas surveys. The copyright to the datasets is held by the Birds of Berkshire Atlas Group, which should be acknowledged in publications that make use of them. 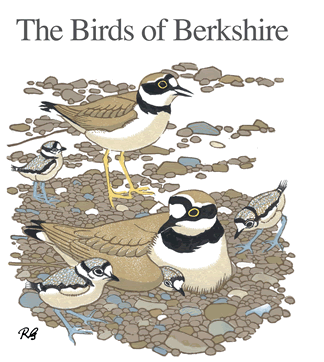 Birds of Berkshire 2nd edition figures and supporting data. Supplementary information and corrections were made in 2017. A pdf of the amended book is available to purchasers (contact conservation@berksoc.org.uk).